Does Honey Really Work for Allergies? If there’s one thing in your kitchen that you should not live without, it should be honey. Honey is not only an ingredient that you can use to sweeten up your favorite dishes, but it’s also known for its many health benefits. It contains antioxidant which is known to help prevent heart disease and cancer. It also helps heal burns and cuts and helps regulate your blood sugar level. Not only that, honey is known to increase your athletic performance and reduce ulcers and other gastrointestinal disorders. There’s no doubt honey is a powerful super food that is packed with many benefits. Have you also heard some rumors that honey is for allergies as well? Let’s find out if there’s some truth to this widespread rumor. Is honey really effective in providing relief for allergies? Amidst popular belief, there’s no study that proves the effectiveness of honey for allergies. On the contrary, a study conducted University of Connecticut Health Center's Lowell P. Weicker General Clinical Research Center proves otherwise. 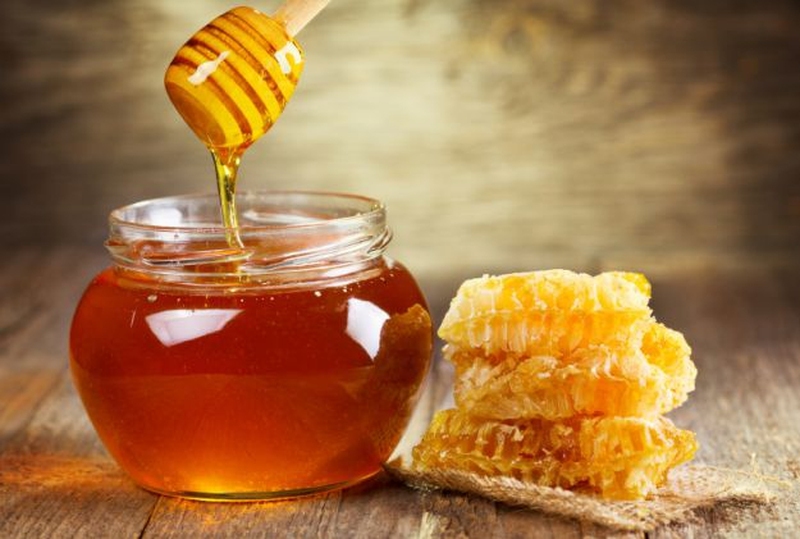 Out of 36 participants that were asked to consume one tablespoon of honey every day, none was reported to get their allergy symptoms improved for over a period of eight weeks. That may make you wonder, where does the belief that honey can treat allergy come from? Most people believe that in order to overcome allergy, you have to expose yourself to the things that you’re allergic of. Your body builds immunity against the allergen, just like how allergy shots work. This concept is called immunotherapy. Many people believe that this concept is applicable when it comes to how honey works with allergy. Honey contains pollen, one of the most allergens there is. They believe honey is good for allergies since you’re getting pollen when you’re consuming honey. Sad to say, the bees which make honey tend to pick up pollen from brightly colored flowers when most of your allergies are caused by pollens from trees, weeds and grasses. So you may be getting allergen, but they’re not the right allergen that you’re looking for. Or you may not be allergic to pollen at all. Conclusion: Contrary to popular belief, honey can’t provide relief from allergies. Suffering from allergy is no joke. It’s hard to function normally when you’re constantly bugged with symptoms such as itchy and watery eyes, nasal congestion, sneezing, sore or scratchy throat, stuffy or runny nose and cough. So keep reading to learn what really helps for allergies. Try these effective home remedies to experience relief from allergies. Soothe upper respiratory allergies by irrigating your nose with saline solution. How does this work? It washes away some of the inflammatory cells and removes the irritants that are stuck in your nose. There are ready-made solutions that you can purchase at your nearest drugstore, or you can make your own saline solution by mixing one teaspoon of salt in a pint of warm water and a pinch of baking soda. While bending in a sink, sniff a little of the solution into one of your nostrils at a time, then allow it to drain back out through your mouth or nose. Doing this once or twice a day is a good alternative instead of using honey for allergies. Drinking hot tea when you have irritated mucous membranes and clogged-up nose has been popularly practiced throughout the centuries. One of the best teas that provide relief for allergy is peppermint tea. Aside from the fact that you’d feel instant relief because of its calming smell, peppermint tea contains antibacterial and anti-inflammatory property. How to achieve relief from a cup of peppermint tea? Put ½ ounce of dried peppermint leaves in a one quart jar filled with two-thirds boiling water. Let it steep for 5 minutes then let cool. Strain and add sweetener if desired. Inhaling steam provides a soothing and refreshing effect on your irritated sinus. It also helps clear your nasal passages from mucus. Bring several cups of water into a boil, then pour it into a big bowl once boiling. Carefully lean over the bowl and with towel draped over your head, breath the steam gently for 5 to 10 minutes. Apple cider vinegar is commonly used for home remedies because of its many health benefits, one of which is mercilessly beating honey for allergies. It cleanses your lymphatic system and reduces the production of mucus – two potent combinations useful for allergies. Mix one teaspoon of organic apple cider vinegar into a glass of water and drink it three times a day. They say prevention is always better than cure, so what better way to get relief from allergy is by avoiding the allergens in the first place. Avoid being exposed to the allergens as much as you can. If you’re allergic to cats, avoid going to places that have cats in them. If you must visit a friend who owns a cat, make the visit as short as possible and don’t pick up or touch the animal. Wash your hands when you leave as well. Ditch the carpet as it’s a breeding ground for dust mites. It can also promote the production of molds as carpet can interfere with the moisture’s evaporation. Prevent pollen from entering your house by running your air conditioner on. It also reduces the humidity in your home. Avoid going out in the early morning as this is the prime time of the highest pollen count. Also leave your shoes at your door to avoid allergens, pollutants and toxins entering your home. All in all, consuming a tablespoon of honey every day is good for your health; however take the more proven alternatives if you want to find relief from your allergies – honey for allergies won't work. Server responsed at: 04/25/2019 4:31 p.m.